Does The NordicTrack U60 Exercise Bike Offer The Experience Users Need? 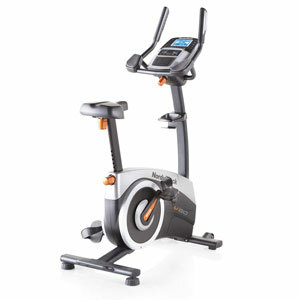 The NordicTrack U60 Exercise Bike is a good looking bike that looks as though it wouldn’t be too out of place in a gym. There are some nice curves to the compact shape and frame, with multiple grey tones and orange accents around the mechanisms. Even the console looks nice with its blue screen and decent size. In fact, this indoor fitness machine is designed so that it wouldn’t be out of place in the gym or on the road. As it is built to mimic the feeling of outdoor cycling in an indoor option. This means a lot of strong expectations for new users, but does it deliver?